The thoughts of you that cross my mind are the ones that make me feel alive. A sensation I never experienced until I met you. You are the person that opens my eyes, brings out my real smile, and holds a place so deep in my heart it scares me. It’s the way you think and how everything makes sense. A connection that I have always searched for but never has crossed my path before. 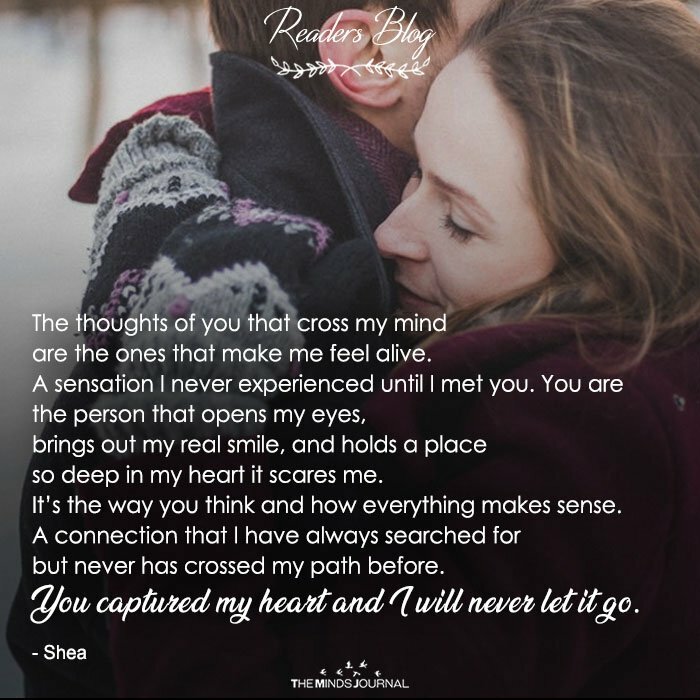 You captured my heart and I will never let it go.